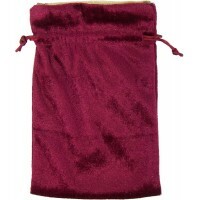 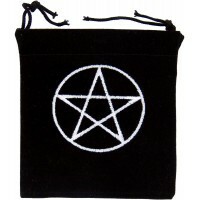 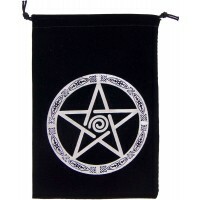 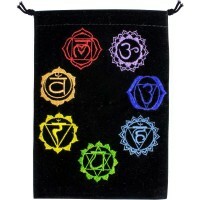 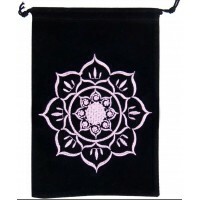 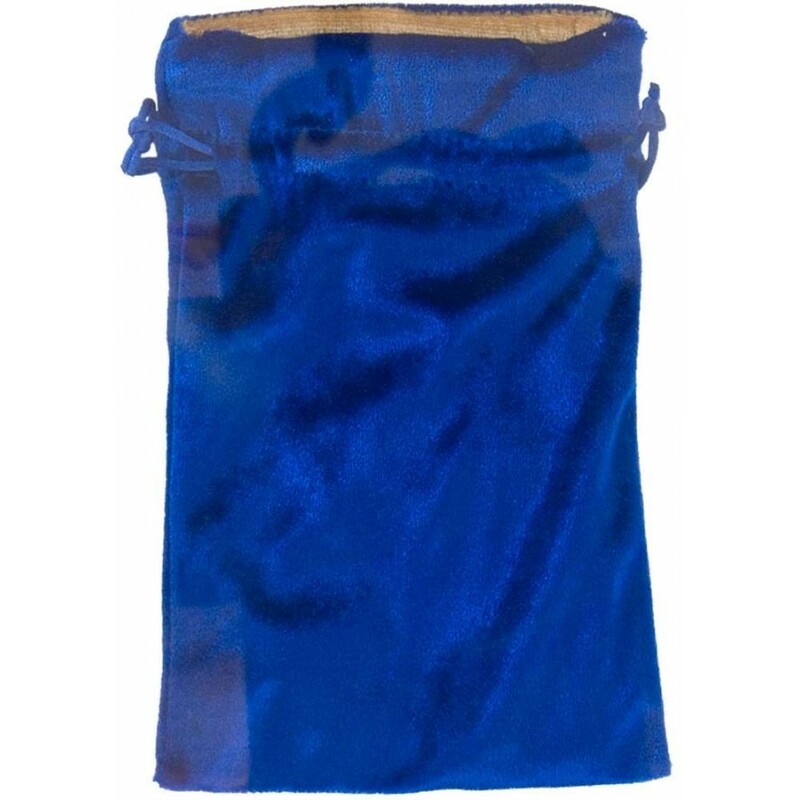 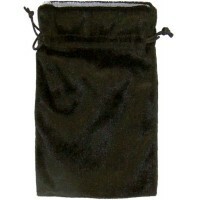 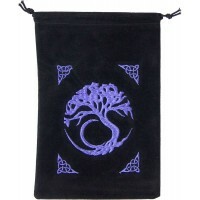 Lined in gold, this blue velvet pouch has a drawstring closure - great for holding tarot cards, gemstones and other items. 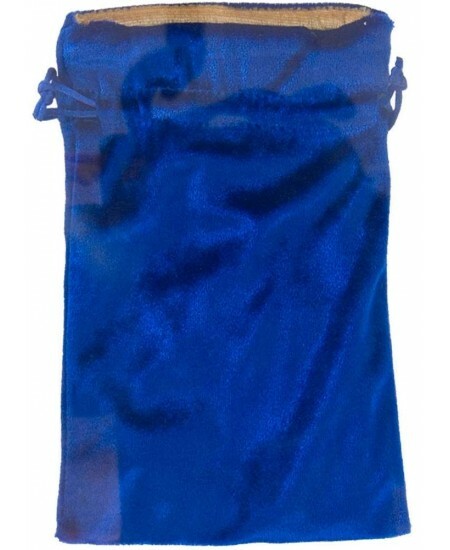 Blue velvet lined bags have a dual drawstring top. 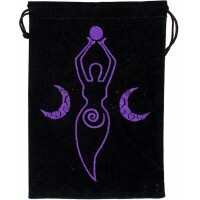 Measuring 8 inches high and 5 inches wide, it is great for holding tarot cards, crystals, herbs, jewelry and more. 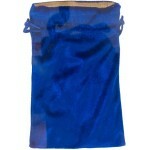 Item Number: KK-60042 | Approximate Size (Inches): 8.00 wide x 0.01 deep x 5.00 high | Approximate Shipping Weight: 0.10 lbs.